Can You Appeal A Divorce Judgement? Going through a divorce is often a difficult experience for all parties involved. Experiencing the separation of a family and the divisions of assets can place a lot of stress on an individual. Unfortunately, one of the toughest parts of going through a divorce is having to compromise on issues that are important to you. It is common for couples to reach agreements where neither party is satisfied with the compromise or may be displeased with how the judge made a decision. The feeling that you are being left out of your child’s life or are being unfairly treated financially can be suffocating. Fortunately, if an individual feels that a judge’s ruling is unjust, the individual can appeal the judgment. When you file an appeal you are essentially challenging a legal ruling. If you choose to appeal, you will be asking a higher court–known as an appeals court–to overturn the previous judge’s decision. Once an appeal is in motion both parties will be required to submit briefs to the appellate court. The brief will contain your argument against the previous judge’s opinion and why you believe it should be overturned. The appeals court will review the briefs and arguments and the content will weigh heavily on the court’s ultimate ruling. Your attorney will reference similar cases and judgments in your brief to show that the previous decision was an invalid application of law. In the event that the appeals court believes the previous ruling was an incorrect application of law, the ruling can be altered. It should be noted that an appeal can generally not take place if both spouses previously agreed to the divorce settlement. In most cases, once the terms of the divorce have been determined and agreed upon, they can not be modified. Some of the most common requests to modify a judgment include rulings on visitation, child support, and alimony. These requests are typically made to the court of appeals, but first, you must submit a motion to modify to the original divorce court. It should be noted that it is often difficult to successfully appeal a divorce judgment. In many cases, once an appeal is submitted it can rapidly become a complicated process. It is important to speak with your family law attorney to ensure you meet all of the requirements for an appeal and are completing all the steps before the required deadlines. Above all else, it is important that you remain honest and forthcoming throughout any and all divorce proceedings. Trying to beat the system or failing to disclose financial interests will always be detrimental to your interests and in certain situations, you may end up in jail. The times surrounding a divorce can be challenging and in the event that you do not agree with the proceedings the times may unbearable. If you are in the midst of a divorce it is crucial that you contact a family law attorney. Attorney Sandra Bonfiglio, P.A. can provide you with the help you need. She is an experienced family law attorney with the skill necessary to fight for your rights to ensure you are being treated fairly. 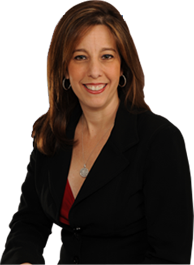 Contact her Fort Lauderdale office today for a free consultation.